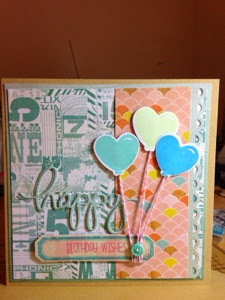 Here's a combo of my current favourite set of stamps, Whole Lotta Happy by WPlus9, and one of my all-time favourite paper ranges, Heyday by Studio Calico. I am a long-time hoarder of Sassafras Lass and I think this paper has something to do with them, it's beautiful! 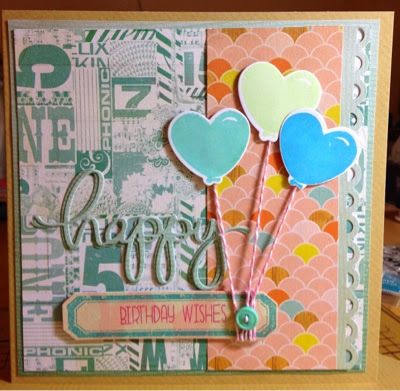 The "happy" die is from Mama Elephant, and the label is actually from a Sizzix Christmas stamp/die set. This is going to be for one of my very best friends whose birthday is today, and tonight we're going on a chocolate making class!